Madrid might not be the easiest place to entertain children: you can't just take them to the beach and let them build sand castles. However, there is still plenty to do in the Spanish capital to keep the kids amused. Check out the gallery for some top tips. There are two theme parks close to Madrid (one very close to Madrid): the Warner Brothers'-themed one in San Martín de la Vega and the imaginatively titled Parque de Atracciones. Both have the big scary rides for the bigger kids and areas aimed more at the young 'uns. So which should you go for? 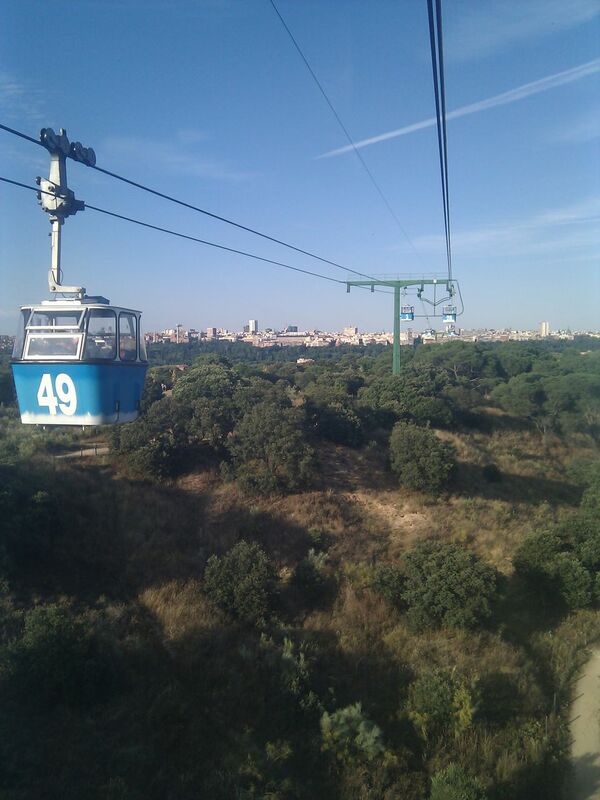 Parque de Atracciones is a lot closer to the city center - it's just a ride on the Madrid Metro away - so if you don't have long in the city, you might prefer that one. But the Warner Brothers' Park has all the TV and movie tie-ins that the kids will surely enjoy. Take the Cercanias train Pinto stop (C-3 line). From there you need the 413 bus. Read more about Buses and Trains in Spain. Take Line 10 of the Madrid Metro to Batan and walk from there. Both parks have the same system. Entry and opening times vary according to the time of year. Input the number of people you are going with on the site and you'll be shown on a calendar the price for various days. Madrid summers get stiflingly hot. In August, the city virtually closes down as everyone heads to the coast to cool down. If you are visiting in the summer months, a visit to a water park is a great way to unwind. Take either the 281, 282 or 284 buses from Avenida de America bus station to San Fernando de Henares. Alternatively, take the Cercanias train to San Fernando and then the U1 bus. Where to take the kids to learn about animals. Madrid's main zoo and aquarium. Address: Carretera Navalcarnero-Cadalso de los Vidrios Km 22. A cute little place to meet some donkeys! Bus: Take the 716 bus from Plaza Castilla and get off at the last stop. From here it's a 2.5km walk. Train: To Tres Cantos and then take a bus to Soto de Viñuelas, getting off at Castillo de Viñuelas. Hot air balloons in Madrid are inexpensive compared to in other countries. The landscape around Madrid can be beautiful, but the most exciting part would be to fly around historic cities such as Segovia or Toledo. Planes, trains, and automobiles fire up the imagination of most kids. Luckily, there's plenty of museums to appeal to little petrolheads in the Spanish capital. Miniature and full-size airplanes at this free museum. Step back in time and see what a metro station looked like in the 1960s. Free entry. For children with a fascination with trains (that's all of them, isn't it? ), Madrid's railway museum is perfect for them. Do your kids like boats? Then this museum is for them. Not the most dynamic of museums, but it's free, so you have nothing to lose. Every child wants to grow up to be a fireman, right? Displays of vintage cars at the old Jarama Formula One circuit. Open Monday to Friday from 10:00 to 14:00, but email fundacion@race.es first to confirm. Free entry. Spanish modern art, including such luminaries as Pablo Picasso and Salvador Dali, is the kind of thing that anyone can enjoy. And with Picasso's magnum opus the Guernica on display, the Reina Sofia really is a treat. Monday 7:00 - 9:00 p.m.
Wednesday-Saturday 7:00 - 9:00 p.m.
Sunday 1:30 - 7:00 p.m.
Real Madrid is Europe's most successful soccer team and always has a roster of some of the biggest footballers in the world. Any match at the Santiago Bernabeu stadium will excite any child interested in football. Madrid's only indoor ski slope, with 'real' snow. Prices: Vary but they often have a deal for 25 euros for two hours of skiing and equipment rental. How to Get There Buses 528, 534 or 539 from Príncipe Pío station. Sunday to Thursday: 10:00 to 22:00. Monday to Sunday: 10:00 to midnight.